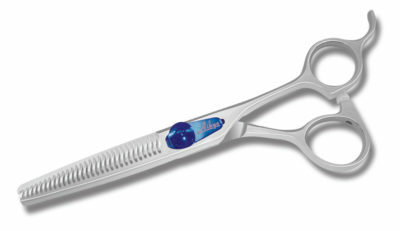 Opposing Handle , double finger with 45 C Type teeth for smooth blending. 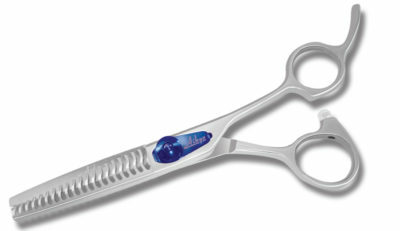 Opposing Ring 5 teeth Notcher. 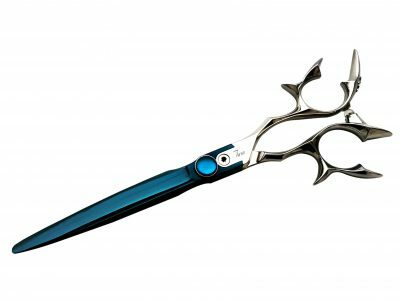 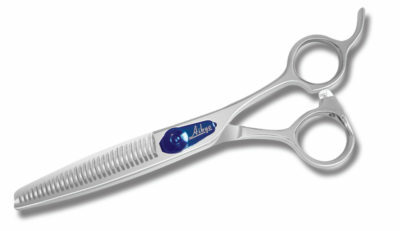 Effective, smooth and cuts precisely with movement of blades. 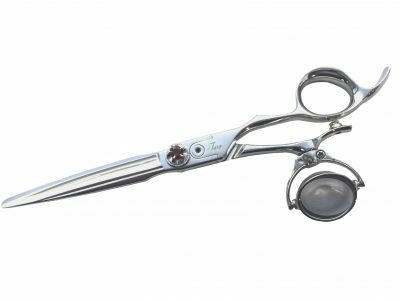 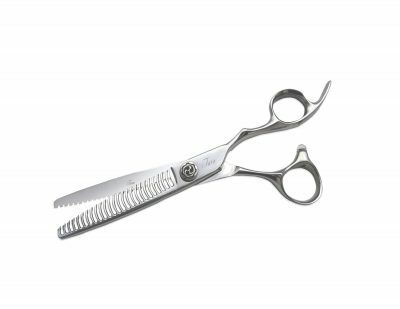 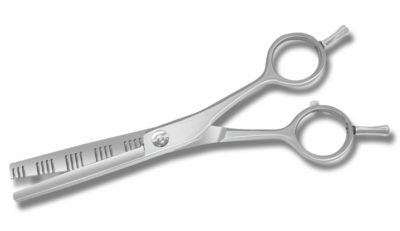 Offset Handle style with 30 S Type Teeth for smooth texturizing without leaving Hair Line. 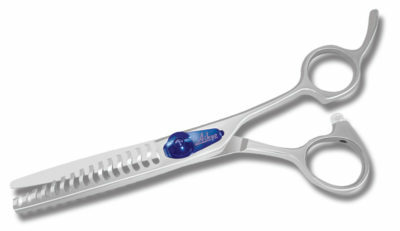 Smooth, effective 5 teeth Notcher.